Hand-painted and coordinating fleur de lis designs adorn these wooden disks in fresh modern colors. Infuse some fun charm into your day! $18. 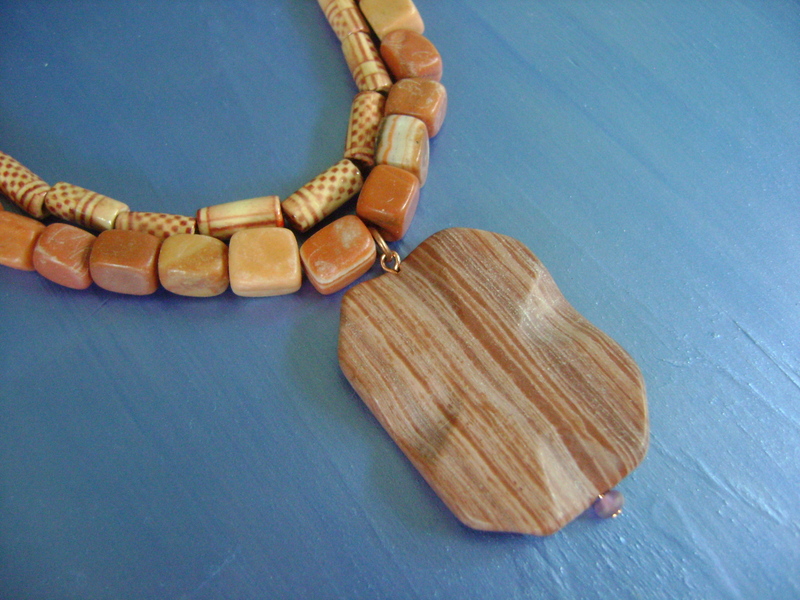 Beautifully striated redwood marble is the centerpiece for this two-strand necklace of brick red Italian onyx and painted wooden beads. 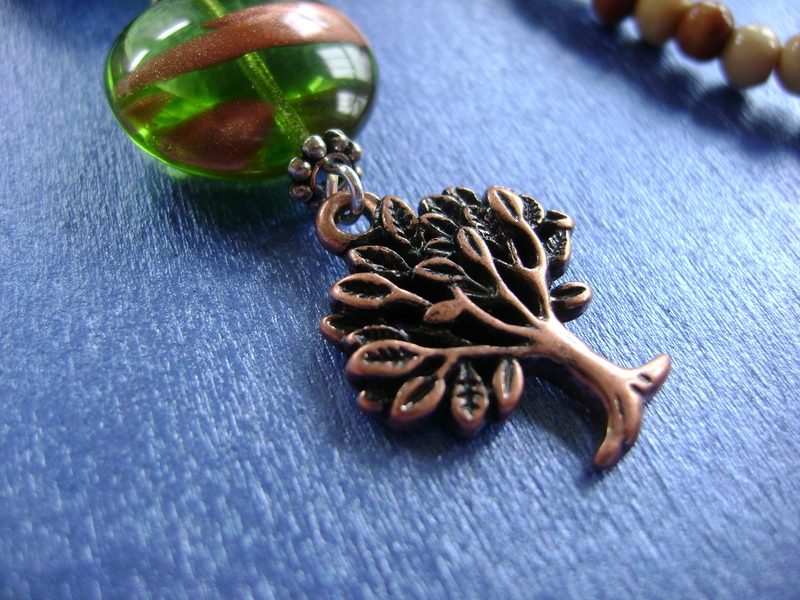 Earthy and bold, it draws you in! $25. 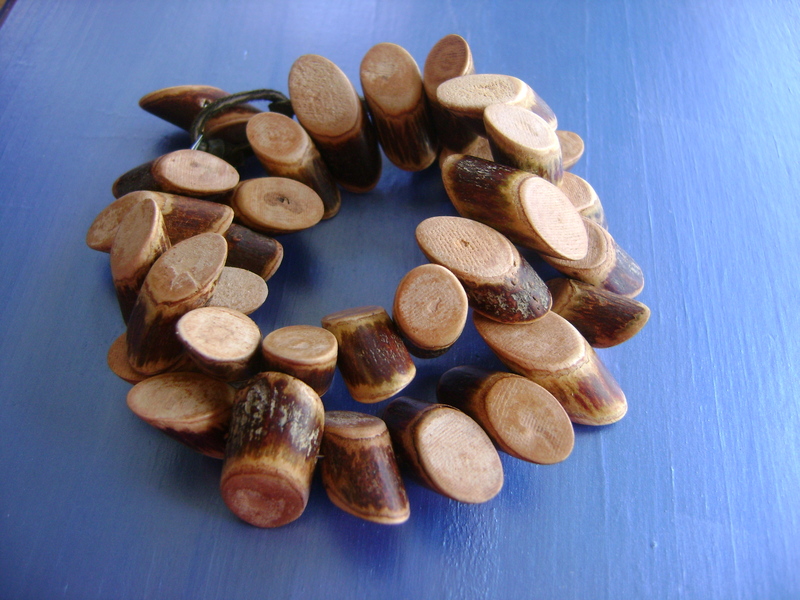 Natural banghaw wood, cut at an angle like miniature logs, is earthy and exotic in this double wrap-around bracelet that will not go unnoticed! $18. 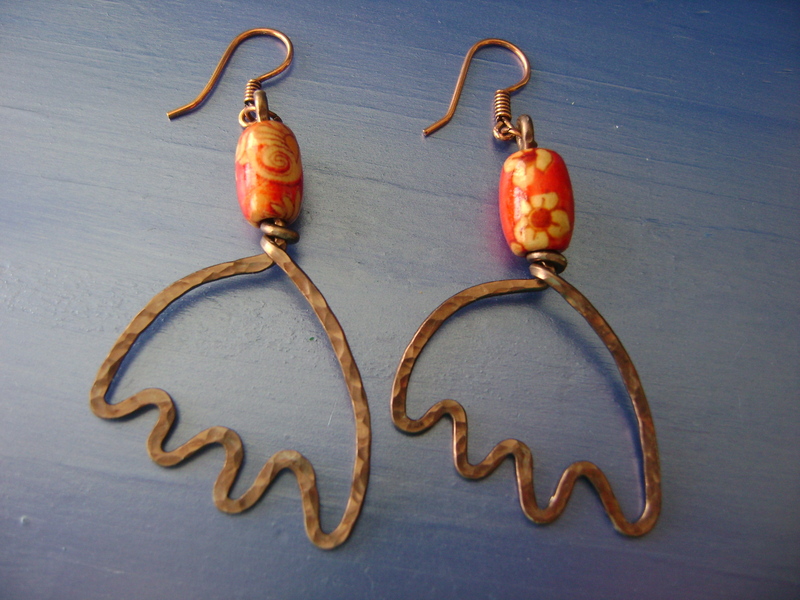 Drop flowers, hand-shaped and hammered, hang from floral-painted wooden beads. $18. 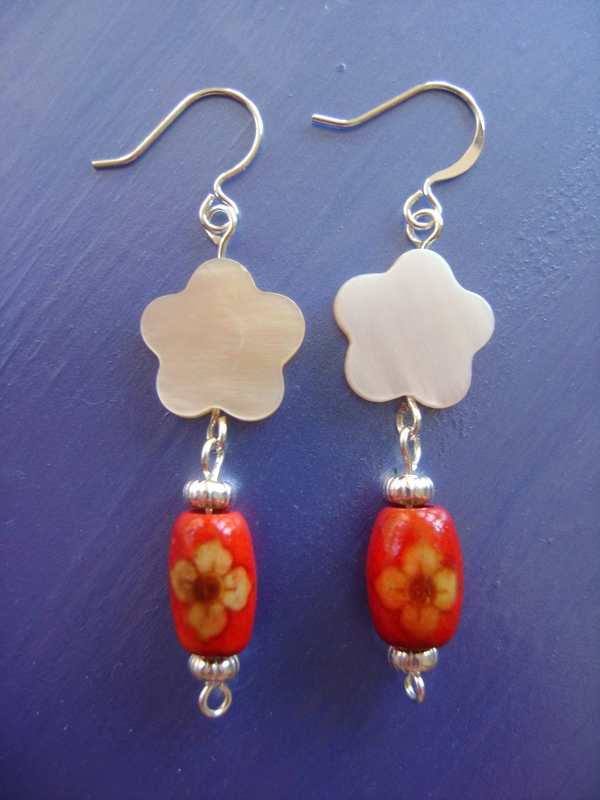 Mother-of-pearl flowers with painted wooden beads make for playful earrings with a touch of zest. $14. 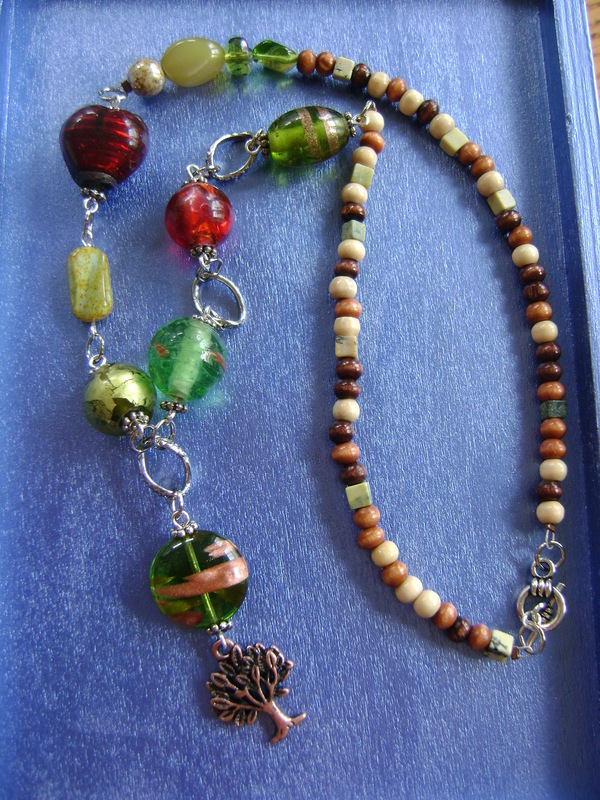 An antique copper tree is suspended by a variety of rich glass beads in green, yellow, and red tones, asymmetrically combined with wood and yellow turquoise gemstones. 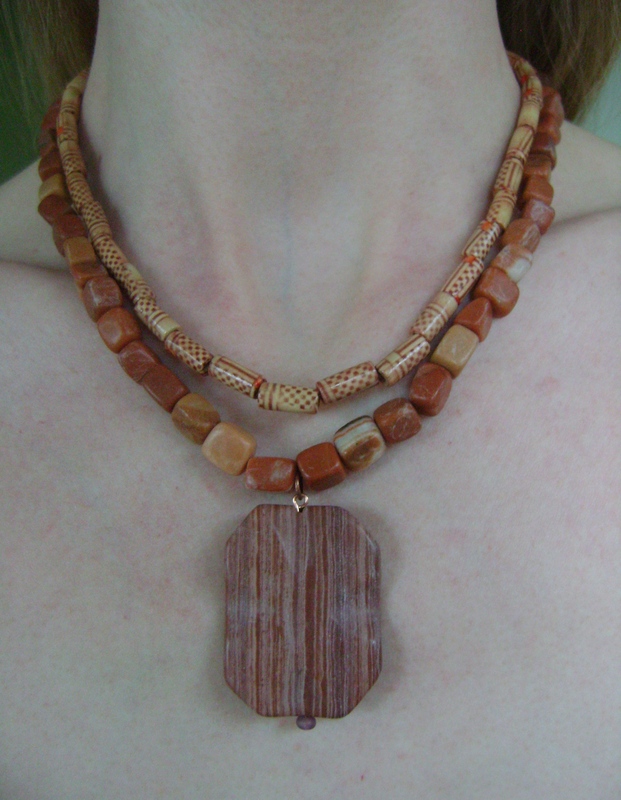 A funky and earthy necklace for a unique soul. available. $20.